We met Itsuki in Harajuku. She had bright pink hair and an eye-catching printed dress. The 28-year-old part-time worker stepped out in a Moussy black dress with short sleeves and red floral print. 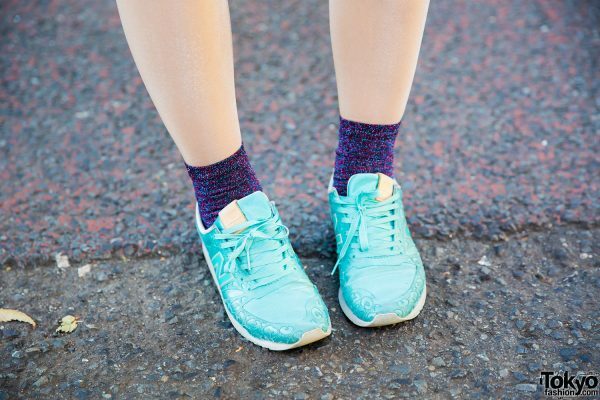 Itsuki also wore purple socks and New Balance teal lace-up sneakers. 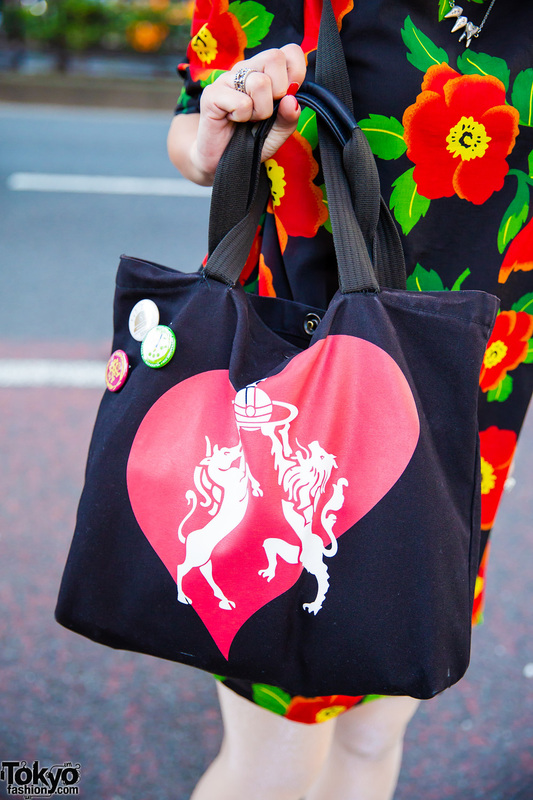 She carried a black handbag adorned with multicolored pins and a graphic print from Vivienne Westwood. 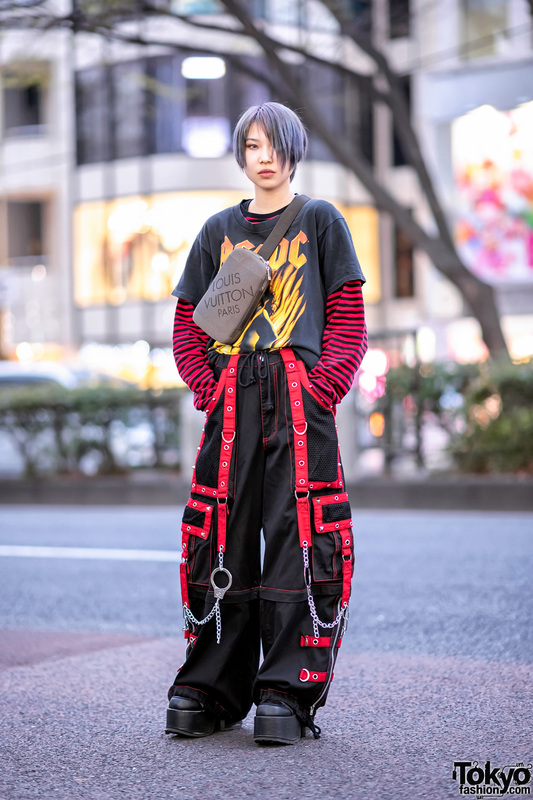 Her accessories – some of which are from Shouta Aoi’s live concert merchandise – include a black beret, dangling earrings, a studded black bracelet, several rings, and a chain necklace. Bright red lips and matching red nails provided the finishing touches to her look. Itsuki’s favorite fashion brands are Milkboy and Lily Brown, while her favorite musical artist is Shouta Aoi. For more on Itsuki, follow her on Instagram.